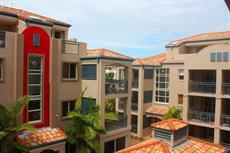 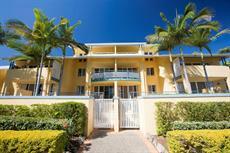 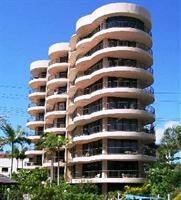 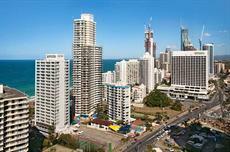 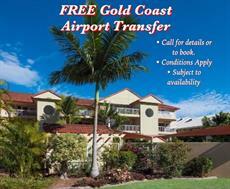 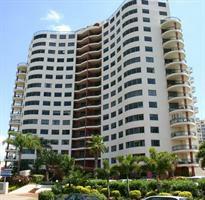 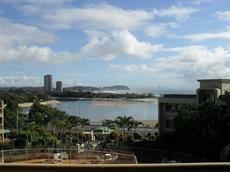 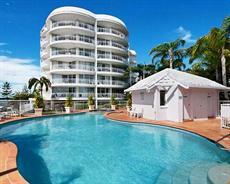 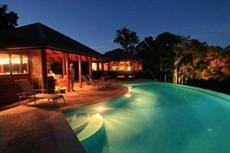 The Gold Coast is an exciting town sitting on the Coral Sea coast of Queensland. 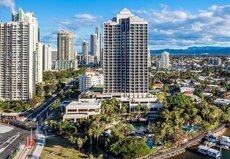 Offering a fabulous climate and easy access to surf beaches, pristine rainforest and plentiful theme parks, the city is today one of the singular most popular vacation destinations for domestic Australian and international travellers. 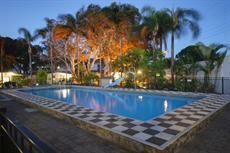 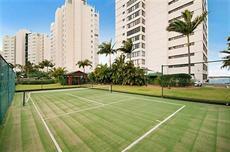 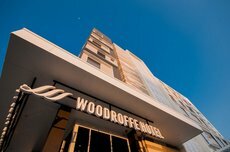 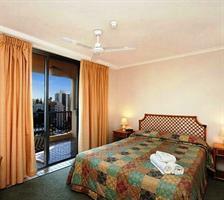 There are hotels on the Gold Coast to suit all tastes and budgets. 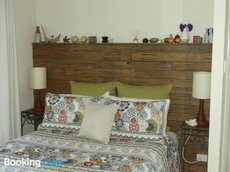 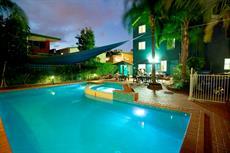 Options cover the whole gamut from backpacker hostels to swanky 5-star establishments that provide panoramic ocean views. 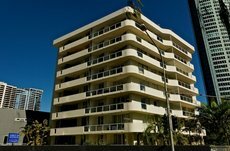 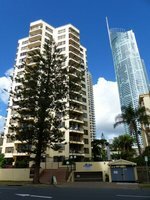 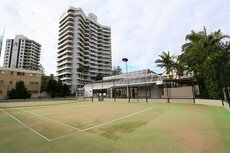 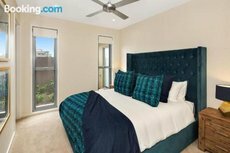 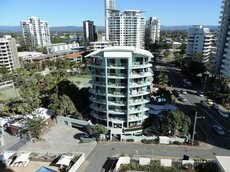 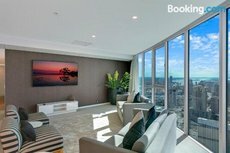 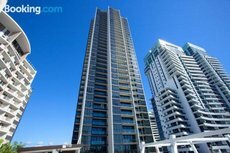 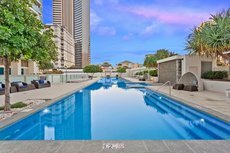 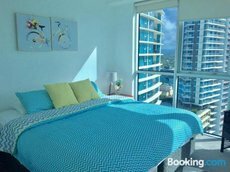 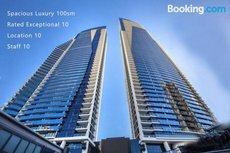 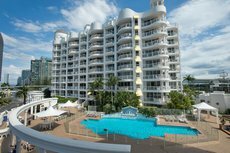 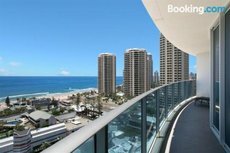 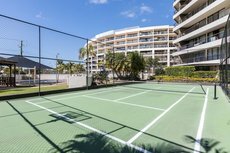 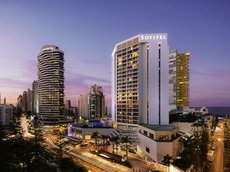 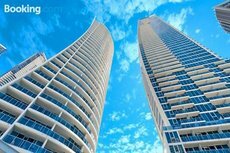 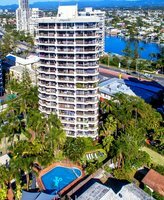 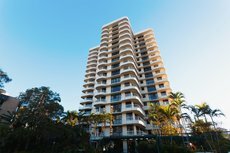 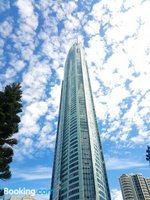 People wishing to stay in the iconic Surfers Paradise entertainment and tourist hub will find there is plenty of accommodation to choose from. 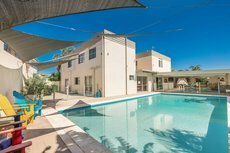 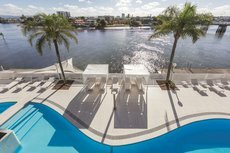 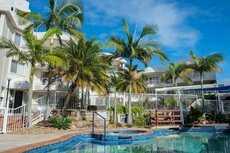 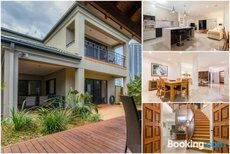 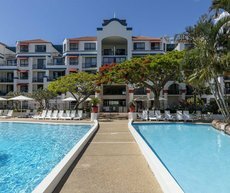 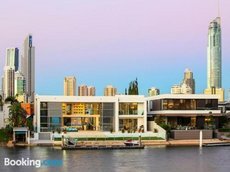 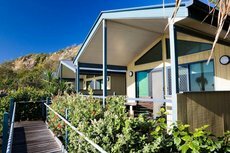 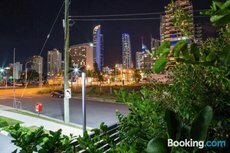 A diverse portfolio of accommodation is the perfect complement to the attractions and there are more than a few luxury 5 star hotels on the Gold Coast to satisfy even the most discerning visitors. 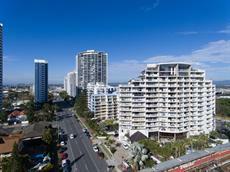 Surfers Paradise is the focal point of the city’s tourist district. 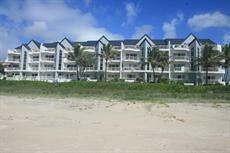 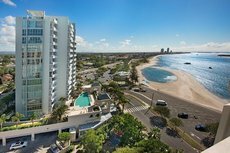 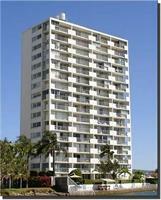 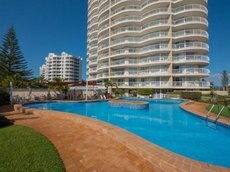 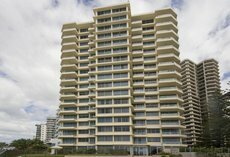 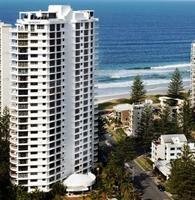 The contemporary towers and buildings lining the sands of the beach at Surfers are home to several of the 5 star establishments. 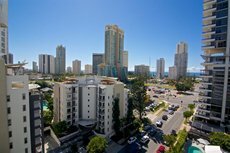 The Gold Coast is one of the premier holiday hotspots in the southern hemisphere and attracts upwards of 10 million visitors every year. 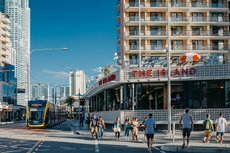 Gourmet dining, scintillating nightlife, golden beaches and a host of entertainment options ensures the Australian city’s popularity is unlikely to change any time soon. 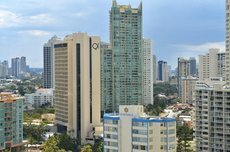 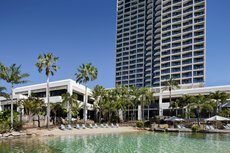 These hotels include one operated by international hotelier chain Hilton and the almost 300 trendy rooms at the QT Gold Coast. 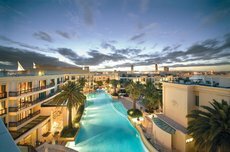 Luxury accommodation invariably comes with corresponding amenities and guests will find they have a choice of wining, dining and shopping outlets onsite and that swimming pools, health spas and gyms are pretty much standard offerings. 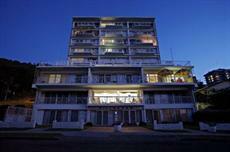 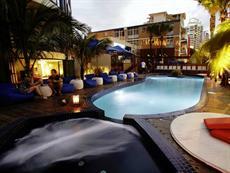 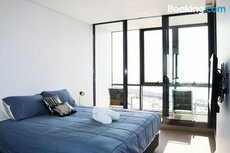 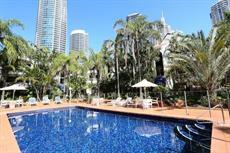 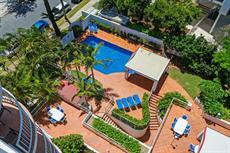 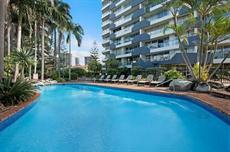 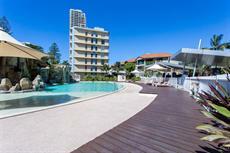 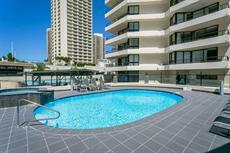 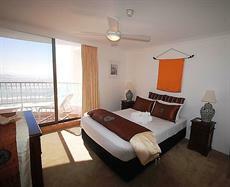 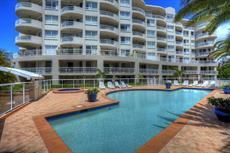 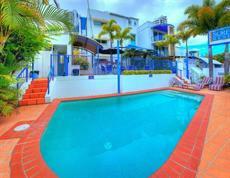 The luxury 5 star hotels in Surfers allow their guests to walk to iconic nightlife venues the Beergarden and Club Liv. 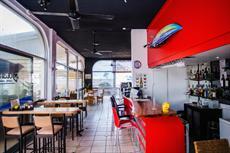 Diners can select from a range of cooking that includes Thai and contemporary Aussie. 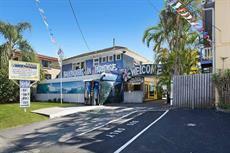 Sea World Theme Park is at Main Beach which is just north of Surfers. 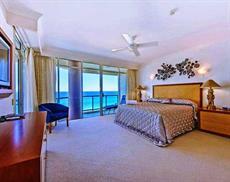 The Palazzo Versace Resort is another luxury option in this locality. 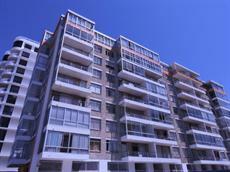 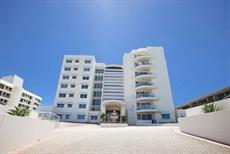 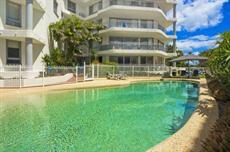 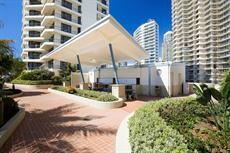 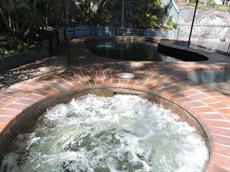 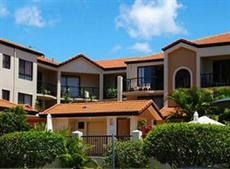 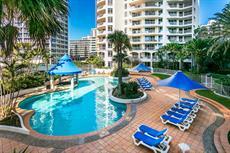 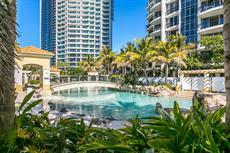 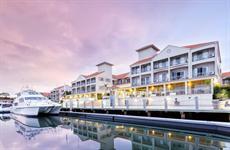 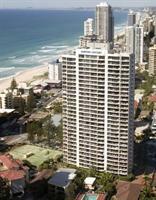 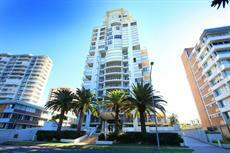 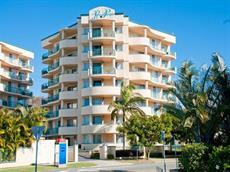 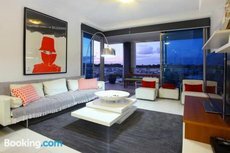 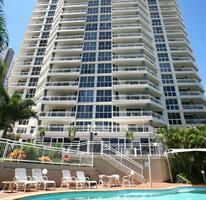 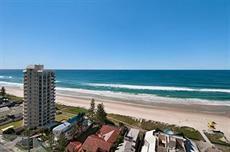 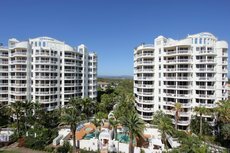 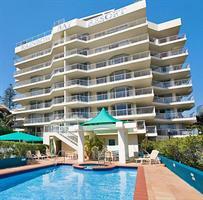 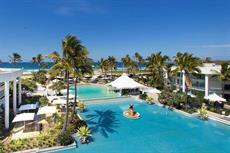 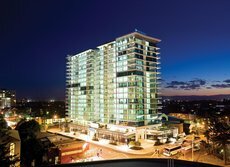 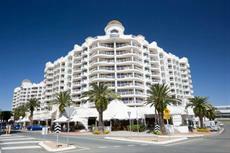 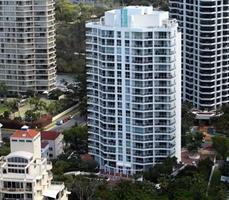 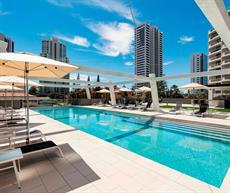 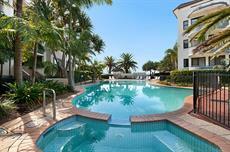 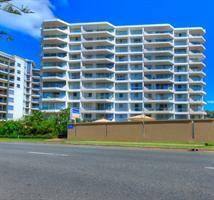 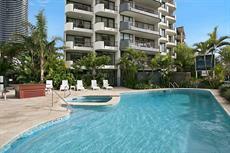 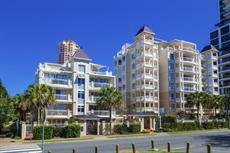 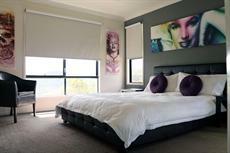 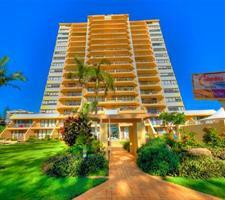 Other luxury 5 star hotels on the Gold Coast are in the locality of Broadbeach, Coolangatta and Sanctuary Cove. 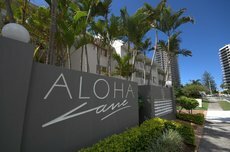 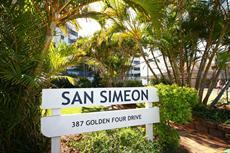 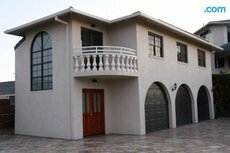 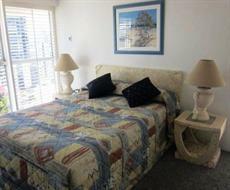 Guests staying here can easily locate taxis for trips to downtown, amusement parks and the beaches. 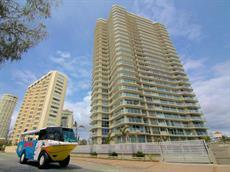 Some of the more luxurious hotels lay on shuttle or limousine services for their guests. 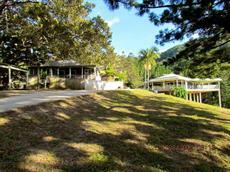 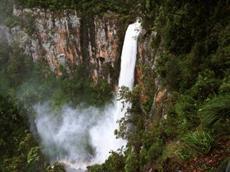 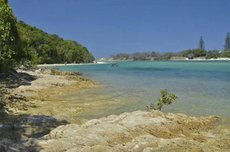 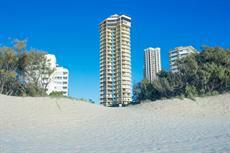 Tours are also available to Gold Coast draws such as Springbrook National Park and Currumbin Wildlife Sanctuary. 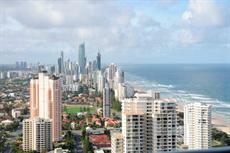 The Gold Coast sits on the coast of the Australian state of Queensland. 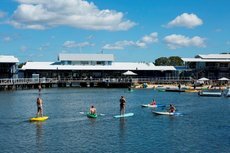 With year-round sunshine and a range of activities and attractions to suit all age groups the city has evolved into the holiday destination of choice for tourists. 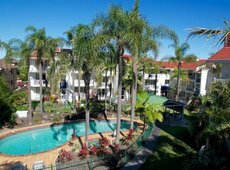 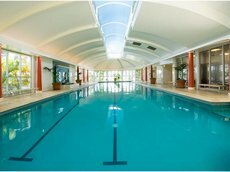 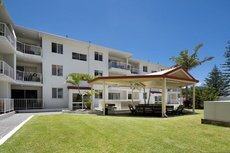 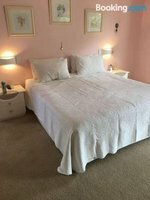 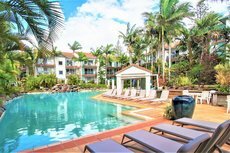 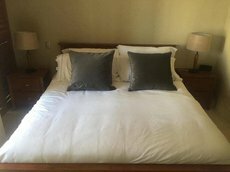 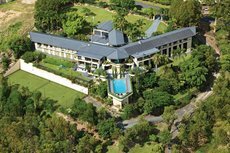 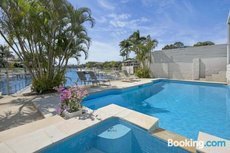 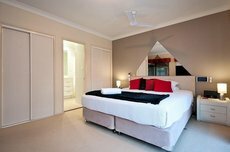 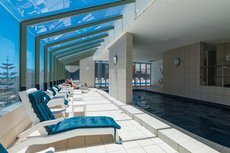 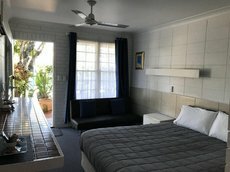 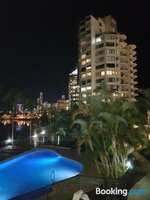 Accommodation is available to cater to all budgets and there is a selection of 4 star hotels on the Gold Coast for those looking for a spot of pampering and elegance. 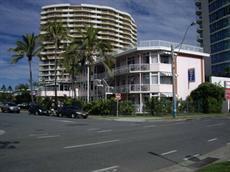 The bulk of the 4 star venues are concentrated close to the Esplanade. 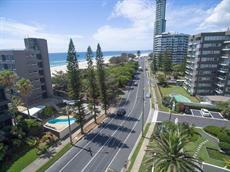 This road runs parallel to the Coral Sea coast at Surfers Paradise. 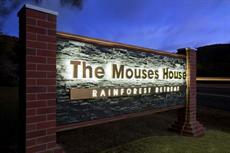 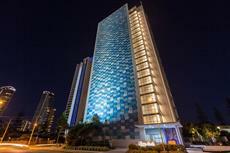 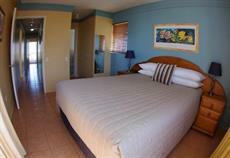 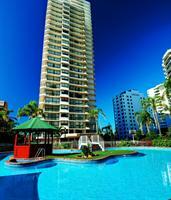 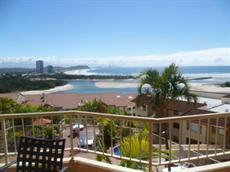 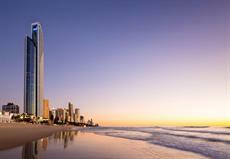 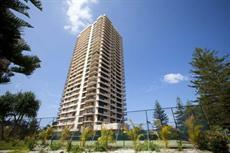 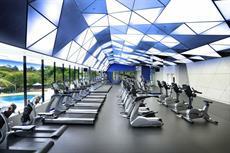 Options include the Seacrest, the Mantra Sun City and the Hotel Grand Chancellor Surfers Paradise. 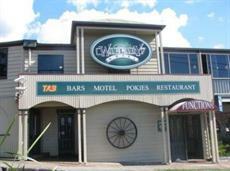 The establishments are either on the thoroughfare or within one block of it. 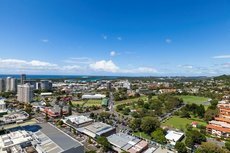 Visitors staying in Surfers are at the heart of a district which boasts some of the finest wining and dining establishments in the country. 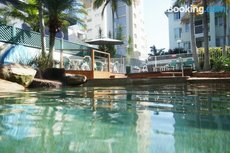 The long-established Surfers Paradise Tavern still has regular live rock bands while clubs such as Vanity and the Escape Bar are packed with revellers nightly. 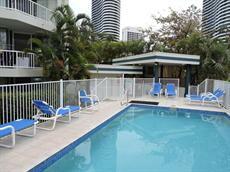 Surfers Paradise RSL is more family oriented and offers exciting gambling and great food. 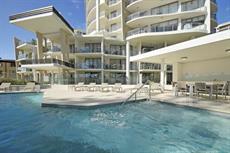 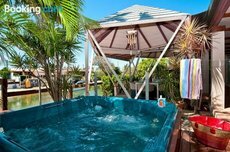 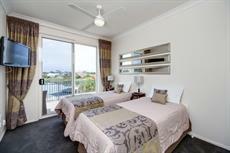 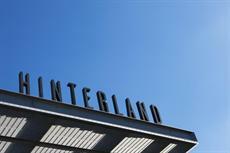 Alternate 4 star hotels on the Gold Coast are found at locations like Broadbeach Island and near local theme parks. 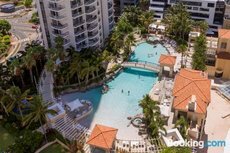 Jupiters Hotel and Casino is at the former and is a must for those who like to enjoy days on the beach and diverse evening activities. 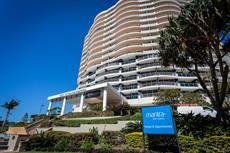 Sea World Resort has a direct monorail service to its sister theme park. 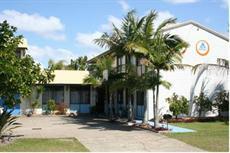 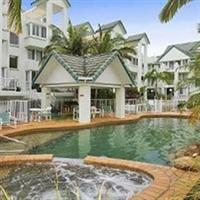 Royal Pines Resort is a prime choice for golfers as the Southport and Emerald Lakes courses are among those nearby. 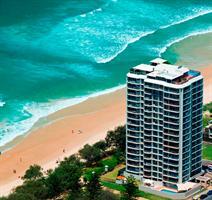 Guests residing at Gold Coast hotels are able to surf the waves at beaches in the locality or book a dive tour. 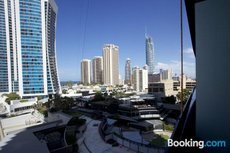 On land, visits to Warner Bros Movie World, Wet ‘n’ Wild or Tamborine Rainforest Skywalk are among the thrilling excursions that await visitors. 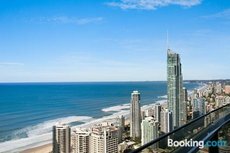 Destination extraordinaire, the Gold Coast is an exciting holiday hotspot that draws in up to 12 million tourists annually. 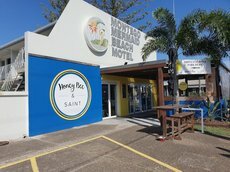 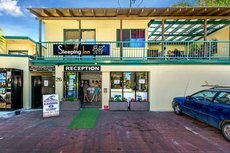 There are countless accommodation options for visitors which cover the whole spectrum from swish resorts right down to backpacker dormitories. 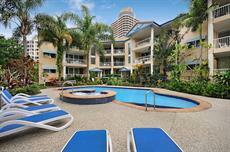 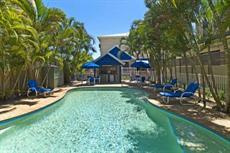 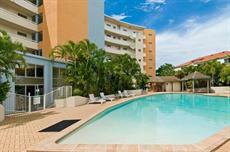 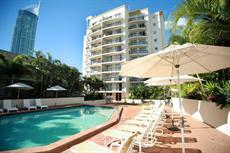 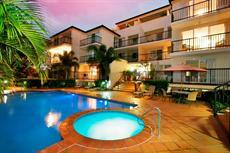 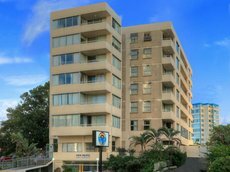 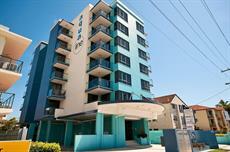 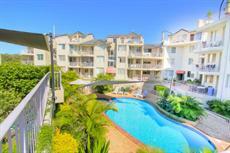 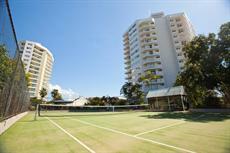 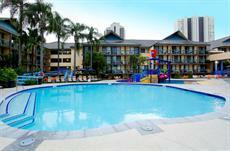 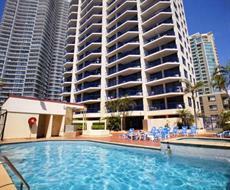 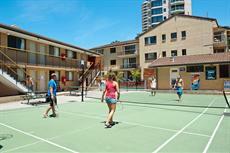 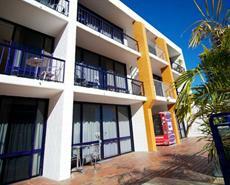 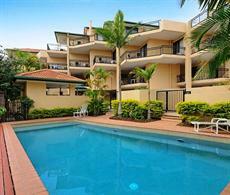 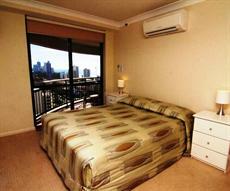 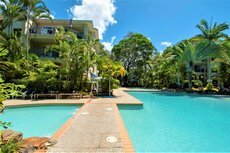 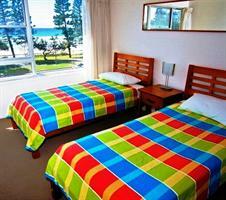 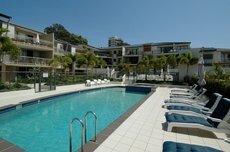 There are numerous budget hotels on the Gold Coast which enable holidaymakers to save their money for sun and fun. 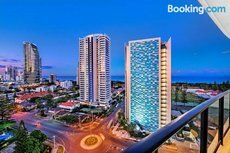 Cheaper accommodation often comes with five-star facilities and establishments with lower star ratings sometimes boast gourmet restaurants, state-of-the-art amenities and even attached golf courses and casinos. 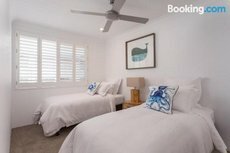 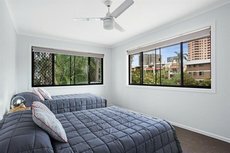 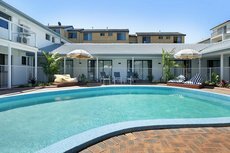 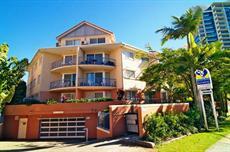 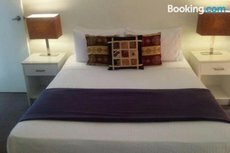 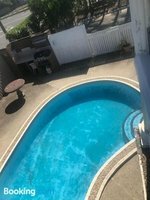 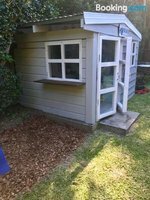 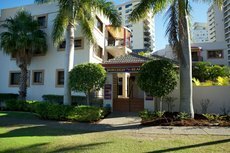 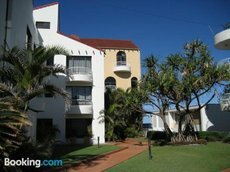 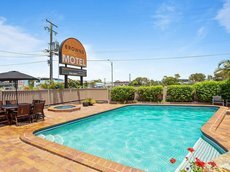 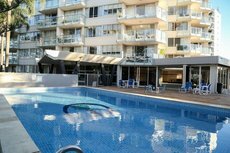 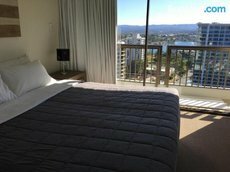 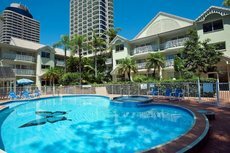 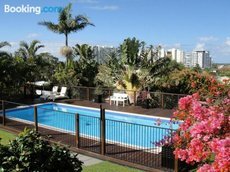 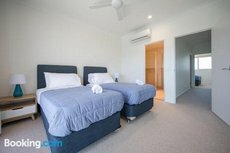 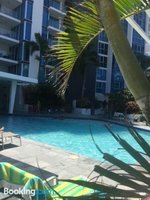 Cheaper hotels are found in the principal tourist precinct of Surfers Paradise as well as in other coastal suburbs including Miami and Mermaid Beach. 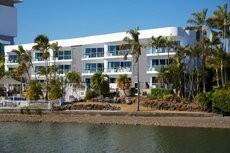 Opting to stay in these locations puts visitors within walking distance of sandy beaches and the inviting waters of the Coral Sea. 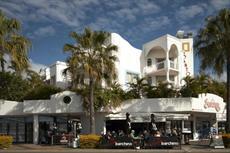 Surfers in particular features a collection of restaurants, bars and night clubs that really do cater to all tastes. 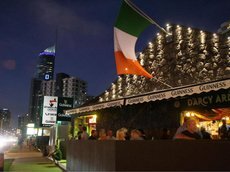 Vanity and the world-renowned Beergarden are just the tip of the iceberg for a night out. 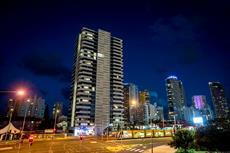 Fine dining at eateries such as Deja View and Bazaar will satisfy the most discerning foodies. 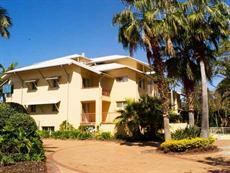 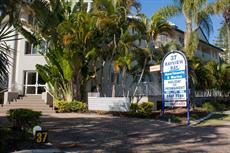 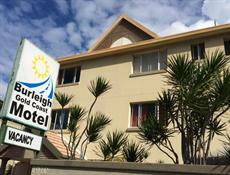 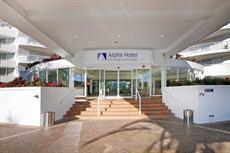 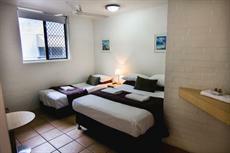 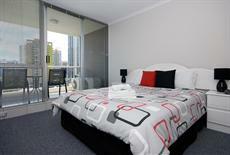 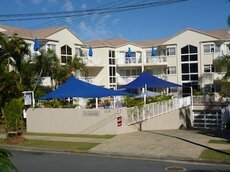 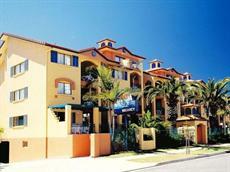 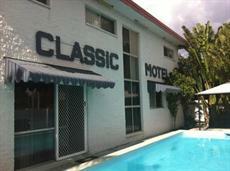 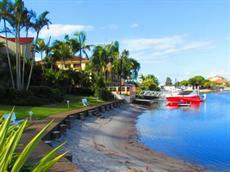 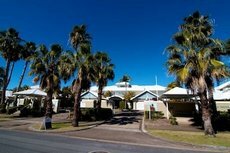 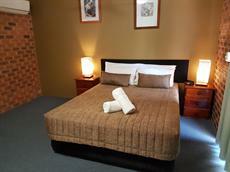 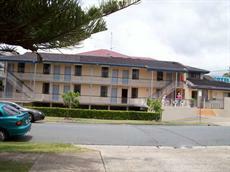 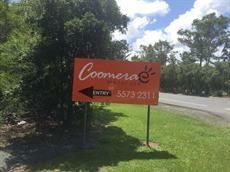 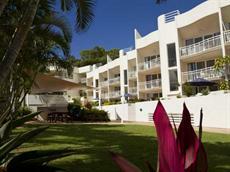 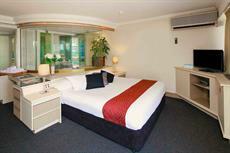 There are additional budget hotels on the Gold Coast in the suburbs of Labrador and Southport. 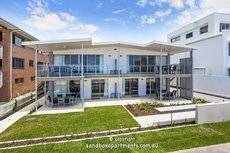 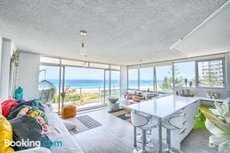 These areas overlook Southport Broadwater and the sight of pleasure boats plying the waters epitomises this exotic location. 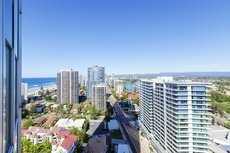 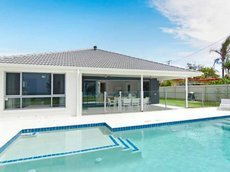 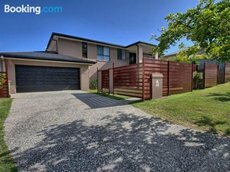 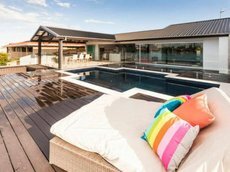 These suburbs are north of Surfers and a good choice for holidaymakers wishing to enjoy the legendary theme parks of the Gold Coast. 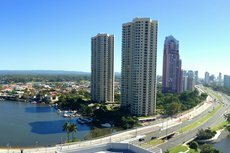 Sea World is across the Broadwater. 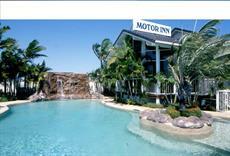 Wet ‘n’ Wild Water World and Warner Bros Movie World are only 10 minutes in a taxi. 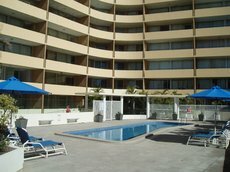 Hotel guests can go surfing from local beaches or take a dive tour. 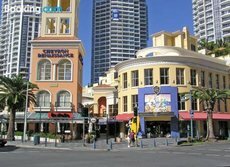 Surfers Paradise markets and Harbour Town outlet mall are among the shopping highlights in the city. 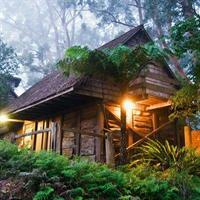 Great daytrips include Mt Tamborine Glow Worm Cave and Springbrook National Park. 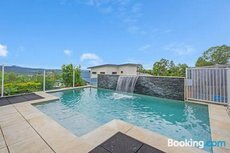 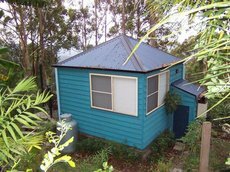 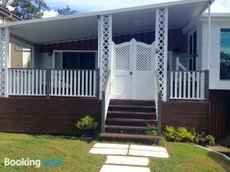 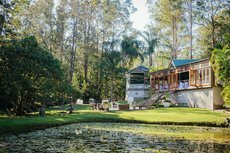 Surfers is not the only jewel in the Gold Coast’s crown and holidaymakers might like to stay in natural environments such as close to Springbrook National Park in the Gondwana Rainforest area. 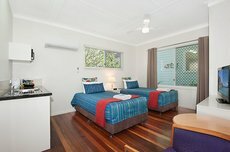 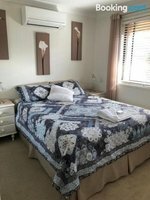 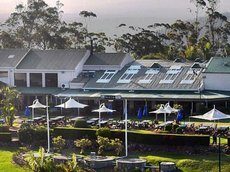 Hotels at theme parks such as BIG4 Treasure Island Holiday Park are another popular selection for those holidaying with families. 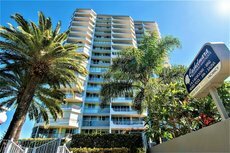 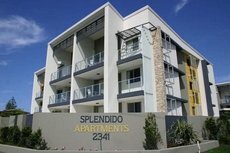 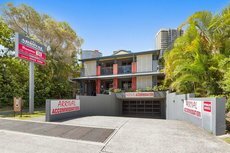 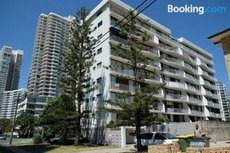 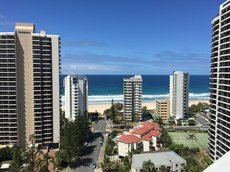 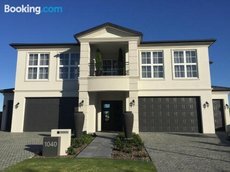 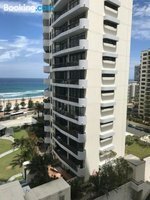 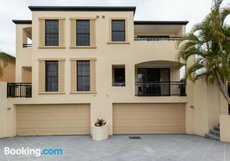 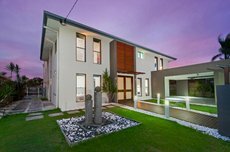 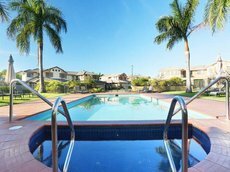 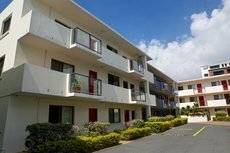 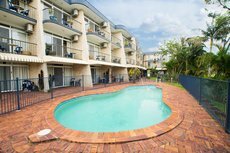 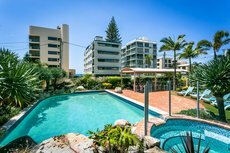 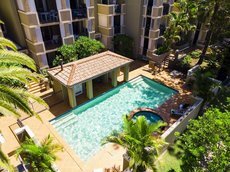 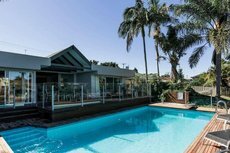 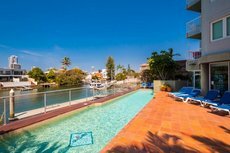 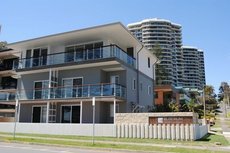 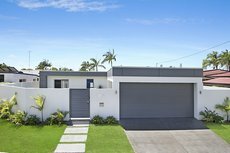 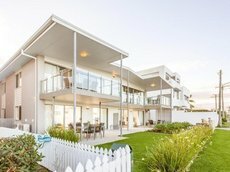 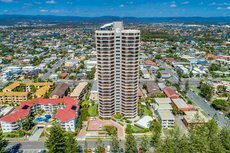 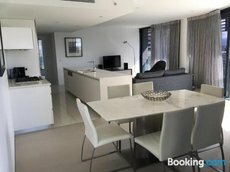 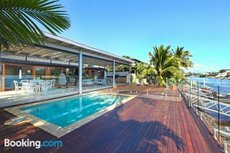 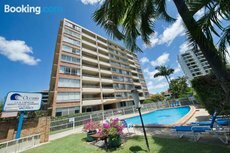 Surfers Paradise is the epicentre of the Hotels on the Gold Coast, but people wishing to stay in other beachside locations will find many alternate options in the adjoining suburbs of Broadbeach, Mermaid Beach, Burleigh Heads and Southport. 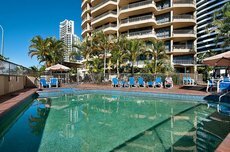 There are also topically themed hotels for Gold Coast tourists with ones featuring golf courses or casinos that are firm favourites. 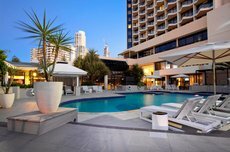 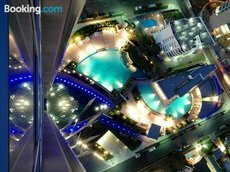 Visitors staying in Surfers Paradise have a fabulous array of venues for a night out to select from. 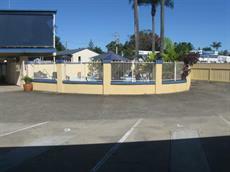 The Beergarden was founded in the 1920s and is one of the best places in Australia to take in a live band. 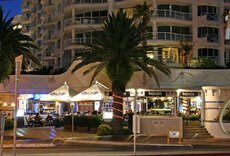 Club Liv is one of many nightspots to dance though to the small hours. 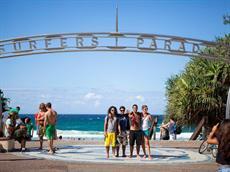 Gourmets can take a global culinary odyssey at Surfers and the adjacent suburbs. 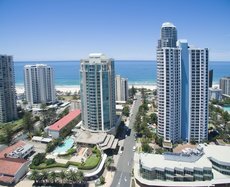 The Gold Coast has a hectic festival and event calendar with Blues on Broadbeach and Sanctuary Cove Boat Show among the highlights. 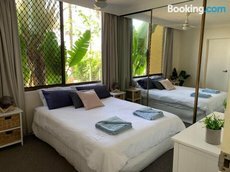 As well as theme parks and Springbrook, visitors are able to book themselves outings to destinations including the Tamborine Rainforest Skywalk and Currumbin Wildlife Sanctuary.